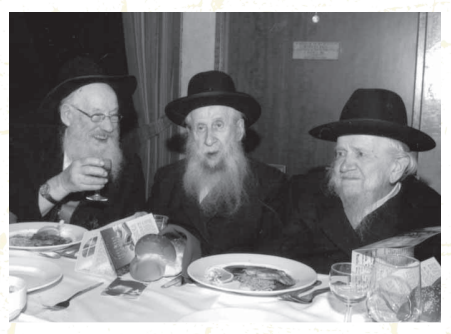 Photo of Chabad Rabbonim of Montreal: R’ E. Gerlitsky, a”h; R’ Y. Hendel, a”h; R’ M.Z. Gringlass, a”h. We must literally learn every single discourse 3-4 times at least and then think through its contents 7-10 times, at least half an hour every time, and only then maybe we can hope that something will stick, and the vessel will become a little bit clean…. This entry was posted in Uncategorized and tagged Dvar Malchus, Reb Menachem Zev Halevi Gringlass. Bookmark the permalink.